How engaged are people in managing their health and care?…was the title of a Health Foundation publication in 2005. This followed from Sir Derek Wanless’ 2002 report for Gordon Brown – who was then at the Treasury – that the very survival of the NHS depended on people being ‘fully engaged’ in managing their own health and care. 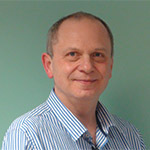 Subsequent to this landmark paper, a number of influential commentators including Chris Ham (now at The Kings Fund) and David Colin Thome (at the time a GP in Cheshire) went to America and saw how health management organisations were adopting evidence-based systems to rise to the challenge of long-term conditions. Many were using the ‘chronic care model’ which had been developed in Seattle, and it seemed to work. On this basis, the model was adapted and introduced into the UK, and it became official UK policy in 2006 for people to be supported to manage their own health and wellbeing, that is, supported to self-care, and to be ‘fully engaged’. So, what demonstrable progress have we made over the last 10 years? Well, Chapter Two of the Five Year Forward View reiterated the Wanless challenge, but to be perfectly honest, we don’t know about progress because we haven’t had a national metric to track patient engagement. So let’s go back to that Health Foundation paper which looked at how engaged people were in 2005. In that paper, the authors used a (then) new measure called the Patient Activation Measure. We now understand this to be the best measure of ‘how engaged’ people are in managing their health, if they live with long-term medical conditions. In 2005, the authors showed that around a third of our population have low or very low levels of engagement, in other words, low levels of knowledge, skills and confidence to manage their health. Because of this, there is a tendency for them to develop more and more long-term conditions, a worsening quality of life and for them to cost more than those who are more engaged. We now know that simple approaches can support people to become more engaged. Peer support, health coaching and access to self-management programmes make a real difference. And if we align those approaches with other approaches that support people to develop a sense of wellbeing – a sense that they can manage the impact of their conditions on their psychosocial functioning – we can support our population to become more engaged. Up until the last two years, however, we had not measured ‘activation’ in our population, and nor had we really put self-care support centre-stage. In fact, many commissioners and providers possibly haven’t made the connection between self-care support, patient activation and the Wanless report. NHS England is now working with a range of other agencies to design and then begin to deliver a national Self-Care Support Programme. As part of this programme, a number of organisations will measure the levels of knowledge, skills and confidence of their population using the Patient Activation Measure (PAM), and then focus on supporting people living with long-term conditions to develop their knowledge, skills and confidence to manage their health and wellbeing and live independently. The Self-Care Support Programme will encourage sites to provide personalised support via care planning, and a menu of support options, so that people living with long term conditions feel more confident to manage their own health and wellbeing and will be less likely to have episodes of unplanned care. My view is that the Self-Care Support Programme should work alongside another key NHS change programme – the Integrated Personal Commissioning (IPC) programme. Fundamental to IPC is that it supports people with some of the most complex needs in the country to take a more active role in their care, including through the use of Personal Health Budgets and integrated personal budgets. The infrastructure needed to deliver the self-care support and integrated personal commissioning programmes overlaps significantly, so Sustainability and Transformation Plan (STP) areas will not need to put two separate work streams in place. As an STP leader myself, this makes perfect sense. To end where we began, we now have the opportunity to support our population to become engaged in managing their health and care, and it is our job to help the system to make it happen. I am delighted by today’s announcement that 37 sites, including Integrated Personal Commissioning sites across England will receive PAM licences to understand the activation level of their local populations so that they can begin to tailor their services to support people on a ‘journey of activation’. I cannot agree more with this description. It is all about the person’s journey and their activation, motivation and engagement. A positive and flexible disposition towards improvement however small and an empowering and supportive approach that facilitates a real understanding of self management and autonomy. Thank you to all the dedicated teams, leaders and clinical expertise that can shift mind sets towards hope.